Enable your students to establish connections between mathematical relationships by viewing graphical, algebraic, numerical, geometric, and written representations simultaneously on one large screen, allowing students to link problem solving steps in their thought process. The intuitive features and “grab and move” navigation capabilities of this calculator are very similar to a personal computer. Students can create, save, edit, and view problem solving steps using documents and pages much like a word processor’s file storage. A TI-84 snap-in keyboard is also included, so students can use the same keystrokes they are familiar with on their TI-83 Plus, TI-84 Plus, and TI-84 SE models. 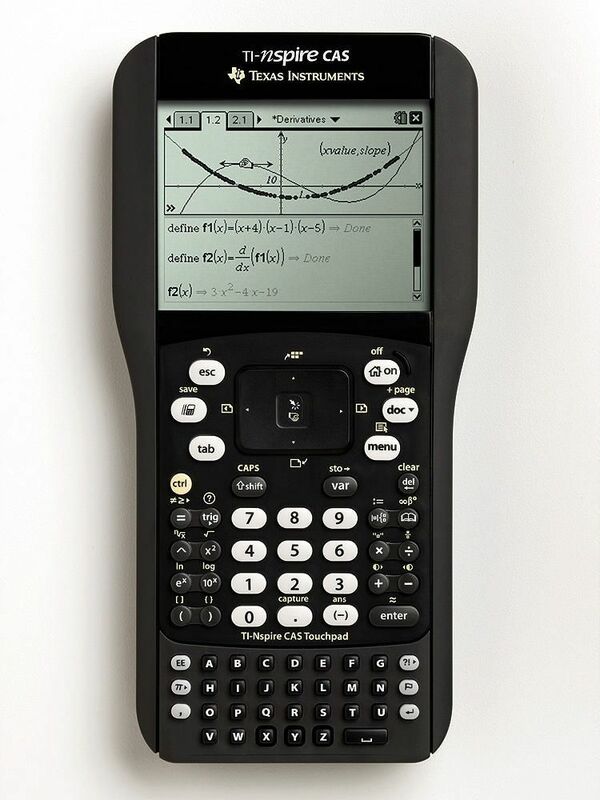 This handheld calculator is approved for use on SAT, ACT, and AP exams. In the TI-inspire School Pack, ten calculators marked as “School Property” are included with 10 snap-in keypads, yellow backing, and snap case; USB cables; unit to unit cables; 40 AAA batteries; transparencies; manuals; a poster; and product CD.